The last week of each month we bring your attention to valuable trends we discovered in our reading. This month we want to draw your attention to the challenges and opportunities that drones present to cities, a national spotlight on Texas cities’ economies and politics and the latest trends in state government revenues. In June of this year, the Federal Aviation Administration (FAA) issued rules governing the use of drones in U.S airspace. U.S. drone sales grew from 700,000 in 2015 to an estimated 2.5 million in 2016. The National League of Cities (NLC) prepared a short briefing and a longer report on these rules and offer some helpful suggestions to cities. The good news is that the FAA’s final rule on drones give cities the flexibility to craft locally-appropriate policies. In particular, NLC suggests cities focus on two issues when enacting drone ordinances: (1) address drone take off, landing, and operations through zoning and land use authority and (2) have an ordinance that punishes reckless operators. There are also many opportunities for cities to include drones in their inventory for a variety of uses. 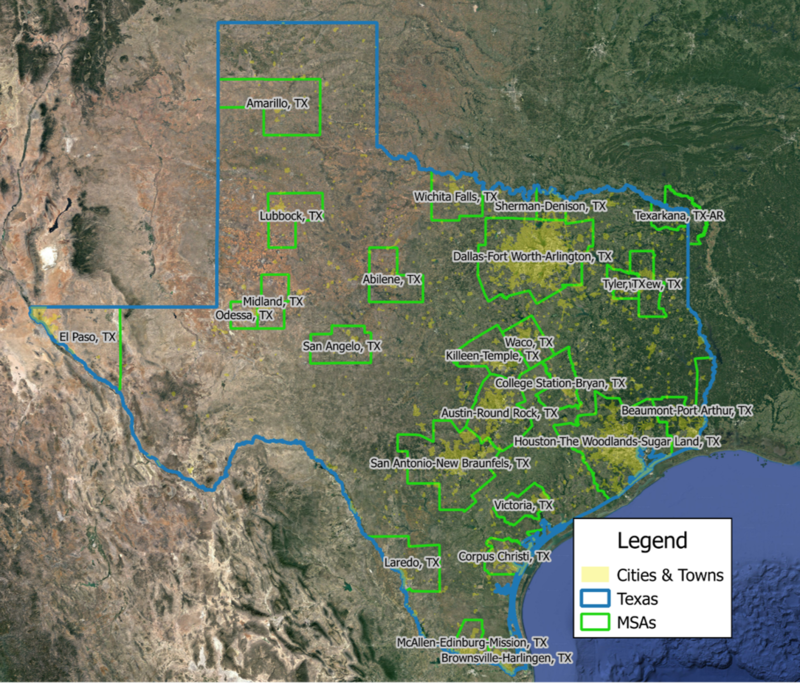 City Journal, a leading publication in the field released a special issue titled Texas Rising. City Journal regularly presents rigorous, thoughtful and creative writing on all things urban. Topics include how Texas’ economic strength comes, in part, from how each of its major metropolitan areas have different industry mixes. This gives Texas economic diversity. Several articles also dive into state and local politics and the fiscal conservativism and economic opportunity that makes the state a magnet for business and families. At the same time, migrants from other states may be putting pressure on some communities to take stronger regulatory roles. We always urge local leaders to pay almost as much attention to their state government’s finances as they do to local conditions. State legislatures often make up for their revenue shortfalls with cuts in local aid and new mandates that can shift program costs to local governments. This month we want to share cautionary state revenue updates for Texas and for the nation overall. Earlier this month, the Texas Comptroller’ office released its revenue report for the fiscal year that just ended. The report compared actual revenues for fiscal year 2016 to what the Comptroller’s office projected originally. General revenue in Texas came in at $49.9 billion. This was 1.3 percent below the forecasted amount. By category, sales tax, oil production and regulation tax and natural gas tax revenue were also below projection. Franchise tax revenue came in 10 percent ahead of the earlier forecast. On the national level, the Rockefeller Institute, the leading university center on state and local finance, reported year-over-year growth in state taxes were 1.6 percent in the first quarter of 2016. Preliminary data showed state revenue decreasing by 2.1 percent in the second quarter of 2016.